Head Start began in 1964, when President Lyndon Johnson declared a war on poverty and released funds that started services for three and four year-old children living below the poverty level. Clackamas County Children’s Commission (CCCC) joined these efforts in 1966, providing Head Start services to the families of our community. We were incorporated as a non-profit in 1973 and since then have expanded our program to include Early Head Start and Oregon Healthy Families. Our CCCC mission is to support the growth of healthy children and families, positive parenting, and school readiness. 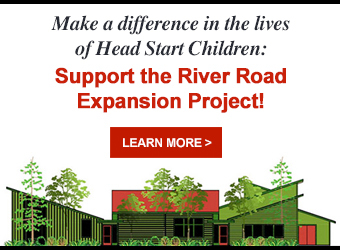 Through our Head Start and Early Head Start programs we support the cognitive, social, and emotional development of children from birth to age five who are at risk in our community. We offer a combination of classroom and home visiting experiences. Additionally, we provide children and their families with services and support for health living, good nutrition, social well-being, and more. Our Healthy Families program promotes and supports positive parenting and healthy growth and development for all Clackamas County parents and their newborn children. Healthy Families offers one-on-one parenting support as well as home visits. Services are provided both prenatally and after the birth of the baby. At Clackamas County Children’s Commission, our approach is to honor parents as the first and most important teachers. We remain responsive to each child, and value every family’s ethnic, cultural, and linguistic heritage. In building strong relationships with our children and families, we support positive parent-child relationships, family well-being, and connections to peers and our community.